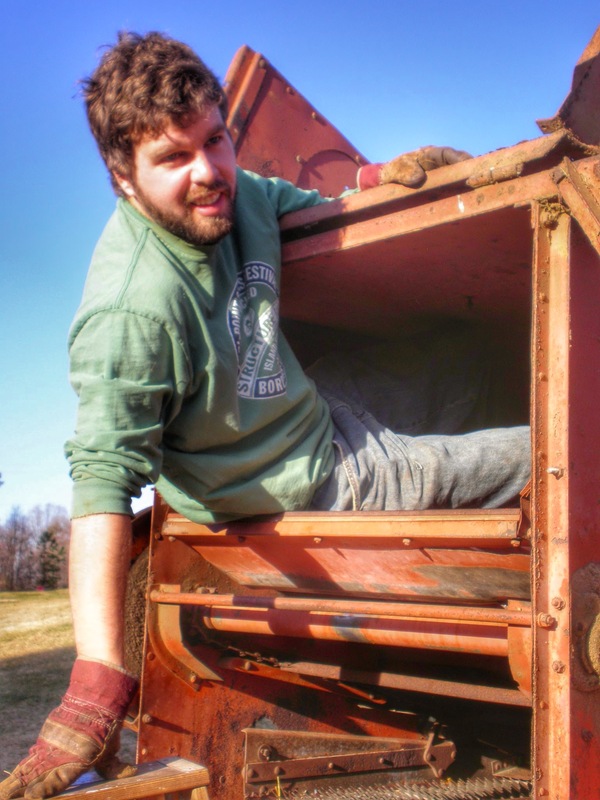 If we had a farm motto at the old white house, it would probably be “Old stuff works good.” We’re chronic reuse it, re-purpose it, “if it ain’t broke” kind of people. 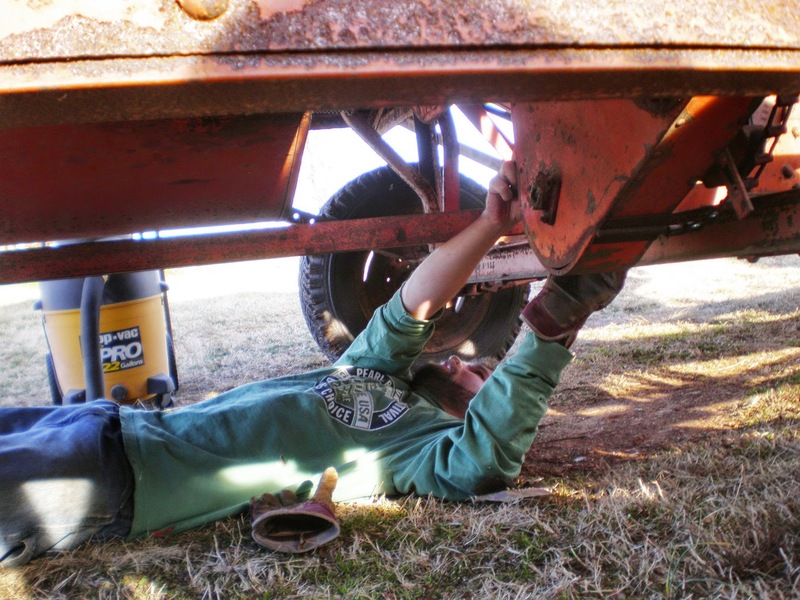 While I’d like to philosophically say that we are hip, nostalgic, and connecting to our past….the truth is, we’re kind of tight wads who like fixable, old farm stuff. 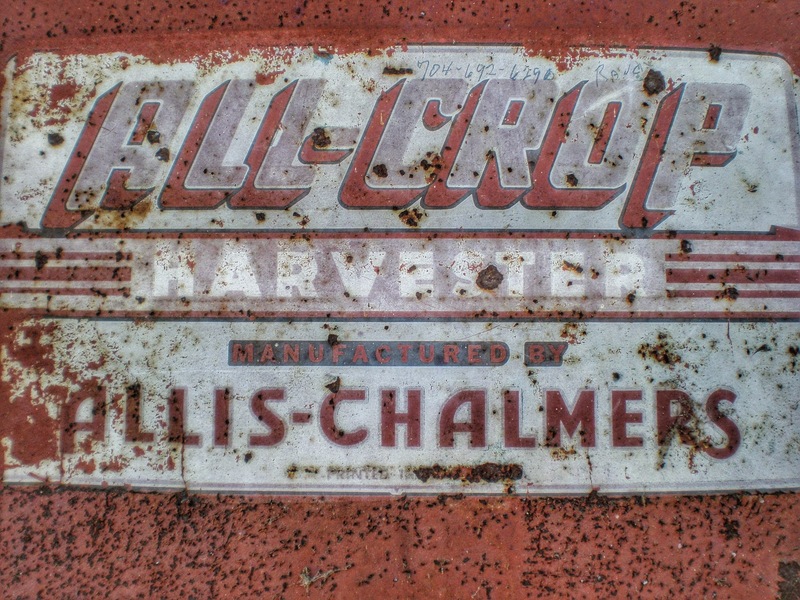 Stephen’s most recent acquisitions have been a 1950’s Allis-Chalmers All Crop Harvester and an old Clipper seed cleaner. 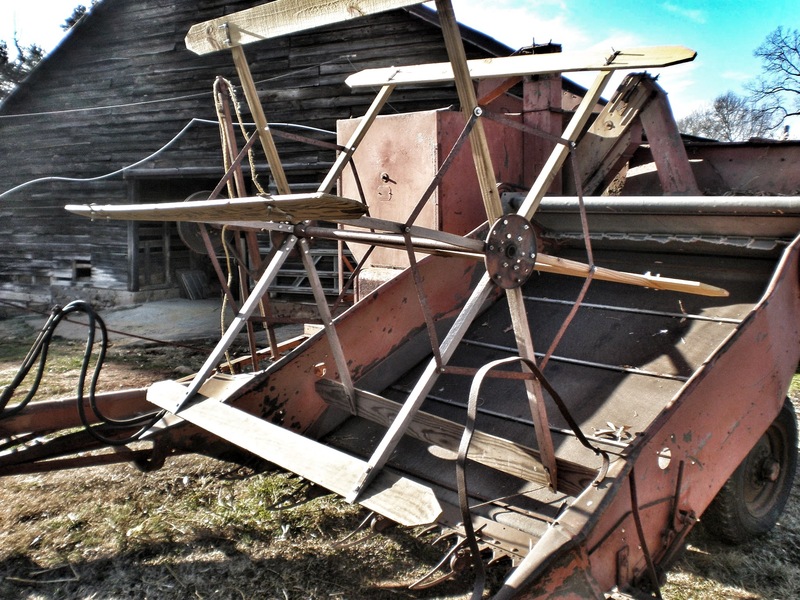 The All Crop Harvester was produced from the 1930’s – 1960’s and is designed to sweep harvest a wide variety of grains and grasses. It allows farmers to harvest crops on a smaller scale without having to own or rent an industrial sized combine. Stephen, after months of looking, ended up finding an All Crop Harvester for sale literally across the street in the barn of a cousin. This thing looked rough and while Stephen was having this weird holy grail moment all I cared about was whether or not it worked. After a treacherous tractor pull across Pleasant Hill, we got the All Crop Harvester home. Stephen and Poppaw (who is basically a mechanical genius) began tinkering away and before long she was ready for her maiden voyage…well, her maiden voyage after 40 or so years. On a bright, Saturday afternoon they revved up our old tractor, hooked the All Crop Harvester up, and made their way to the soy bean field. Within half an hour every old man in our neighborhood was out by the road waiting to watch the old girl in action. As I stood there dodging fire ant hills, I wondered whether or not that old machine came equipped with a homing beacon for anyone over 75. If I had known, I would have brought a box of crackers and some drinks to sell – maybe start to recoup some of our initial investment. At the end of the day, the All Crop Harvester still knows how to get the job done. It may not be pretty, and it may look a bit complicated – but there is a certain beauty in bringing life back to something forgotten. Well, while we certainly aren’t hip, maybe we’re philosophers after all. Have you got it to work? 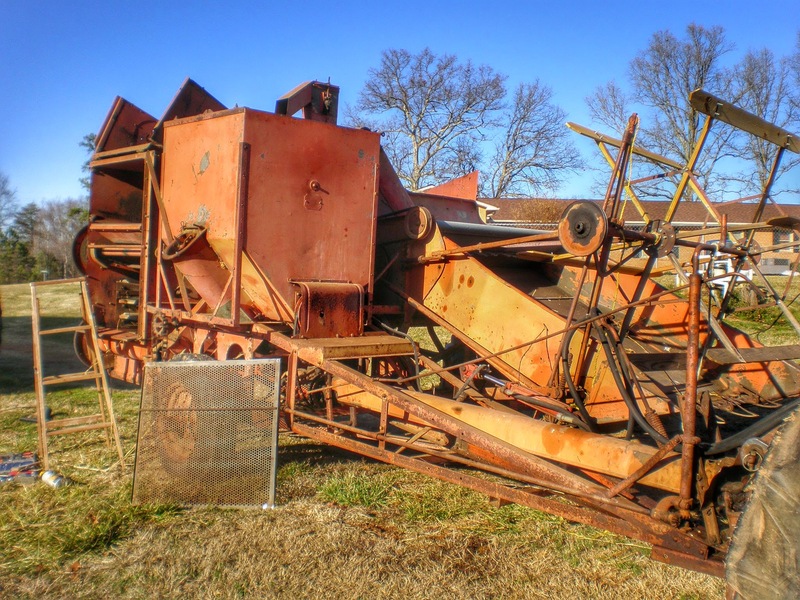 I have two, a model 60-a grain head and a two row corn in Stony Point NC. Tom Yasinski is a friend, Yaz AllCrop guy, has all the parts. 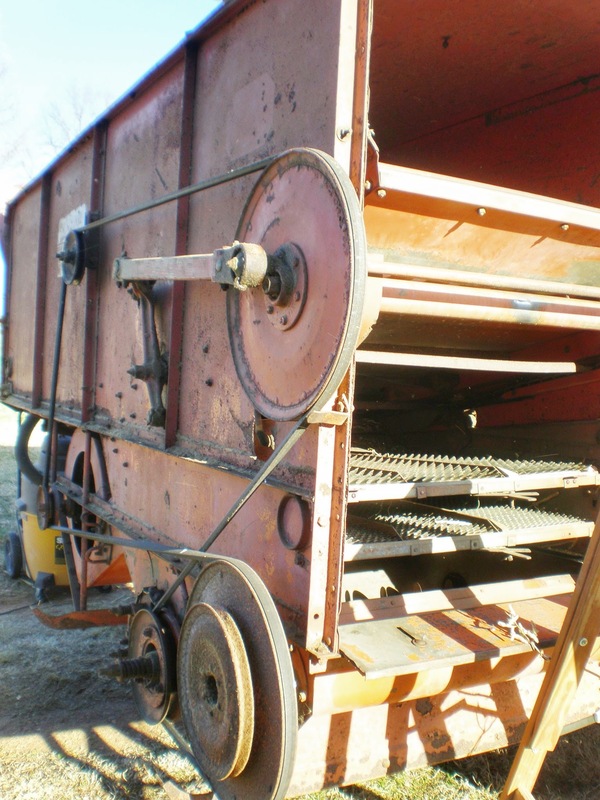 We have used it to cut soybeans and small grains so far. We had to replace several belts and the big pulley in the back, but it seems to work pretty good. The rubber is gone in the conclave, and I think we had the speed to high so it cracked some of the soybeans. Hopefully, we cut some oats and rye with it this spring. Both look pretty good right now.